So would all spend on the virgin white amex up to July 6th count toward the upgrade voucher? I’m about 5k off but could probably hit it with some blue-sky thinking…. No, spend which has cleared to your account by 6th July accounts. There is a difference. Unless I’m missing something, I don’t see the benefit of keeping it open and on your credit file simply for using abroad. We’ve got Revolut for that which didn’t require a credit check (granted it’s not a credit card though). OT sorry if a repeat but BA have launched a reward flight sale (50% off). “best” credit card for travelling? Seems to me it only draws with tandem? Tandem is still a start-up which is shifting its model from week to week. Tandem also cannot sustain the loss on its card indefinitely unlike MBNA / Lloyds. Can you only use it for business spending or can use it for personal spending? You might get closed down for personal spending because this card has a 1.5% interchange fee (give or take) which the retailer who takes your card needs to pay. Not just foreign spending. Also once you have achieved the target threshold or no miles to spend (say you make a big redeem every few years and you just made one with few miles left so voucher you will earn will be of no value in the immediate future), the benefit of other cards are very marginal compared to the Horizon card. Yes the free Virgin card gets you 0.75 mile per £ which is slightly better than Horizon, but cash is always more liquid and convertible than anything else, as we learned from the recent lesson (https://www.headforpoints.com/2018/05/28/qatar-privilege-clubs-shock-devaluation/). 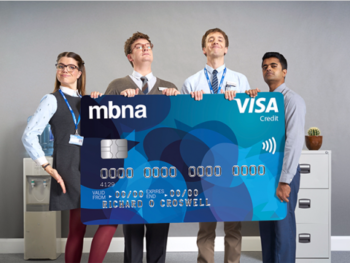 As some of us (me included) have multiple MBNA airline cards, I assume we’ll end up with multiples of the same card? I’ve been given the Horizon to replace my AA, no word on Etihad yet. MBNA have generally been flexible with limits, increasing one by decreasing others for example. If my M&M card goes the same way, I’ll potentially have 3 Horizon cards. 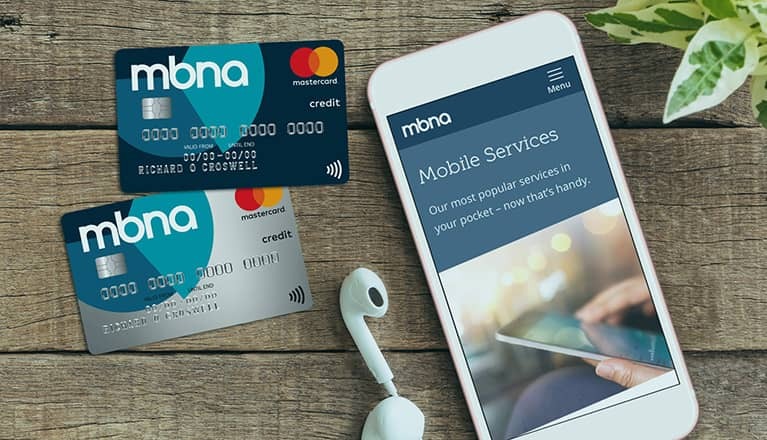 I don’t need 3 and would probably ask MBNA to combine them as a single limit on one card. Do we know if Horizon offers the same exchange rates as Tandem – i.e. no markup? Anyone advertising 0% works off the published Visa / MC rates, so they are the same. Are they advertising that though? I’ve only seen them say no fees, but it didn’t mention the rates. It is always in the small print. If anyone else was thinking like me: I asked MBNA if I could transfer an old non airline card I still had with them to the Horizon package and they very politely but firmly said no. Oh well! The “No foreign exchange fee” sounds good, but what you actually end up paying is the [Foreign exchange fee (in this case 0)] + [the percentage on the exchange rate]. Could they adjust this percentage so that the zero fee really doesen’t gain you anything? Visa has a conversion calculator. If you put in the currencies and transaction date, you should see the charge on your statement matching what’s showing on Visa website. If it’s not the case, then they are not charging free FX. The visa exchange rate + 0.5% cutback puts the effective exchange rate (GBP against major trading currencies USD, EUR, CAD, AUD, JPY) very, very close to that of transferwise. For anyone with expenses in one of those currencies which can be paid on a card this is starting to look like a very interesting proposition. Received my MBNA letter for Horizon card yesterday (white virgin card) – seemingly a day later than the black card users – just in case any free white card users were wondering where their letter was!